Since early March, there's been a steady stream of journalists and bloggers on the tarmac at Nîmes Airport. The media professionals are coming in to put New Espace through its paces; there's a twenty-strong fleet ready and waiting near a hangar. The location is deliberately original, a nod to the high-tech aviation inspiration that underlies the design of Renault's new crossover. 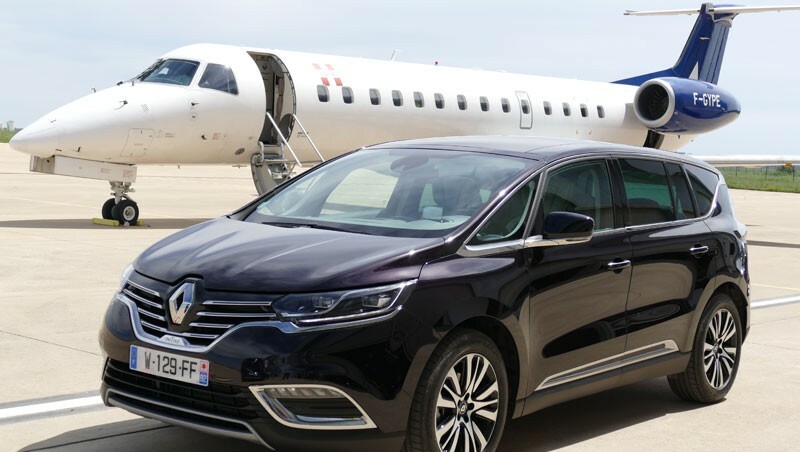 So fasten your seatbelts for take-off into the wonderful motoring world of New Espace. 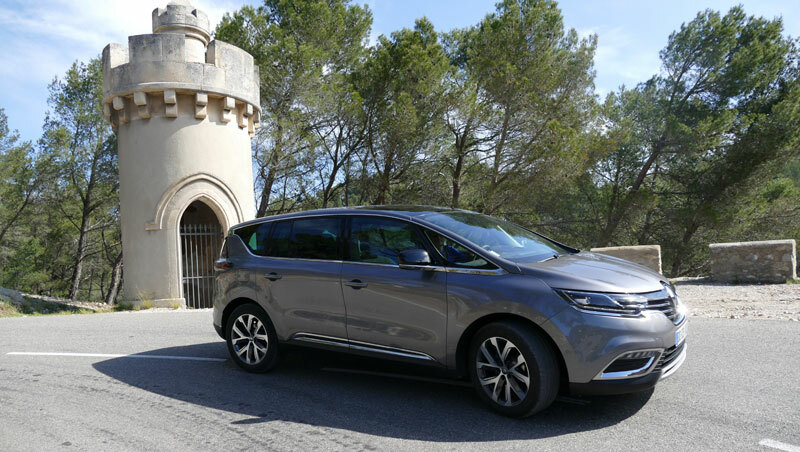 “Renault's New Espace is a crossover that is generous in proportions, technology, equipment and on-board sensations, inviting driver and passengers to take full enjoyment in travel.” That's how L. Van Den Acker summed up the New Espace design rationale. The high-tech aviation inspiration shines through in both vehicle style and on-board lifestyle. Seating quality is business-class: irresistibly comfortable and enveloping. The upper seat back supports individual morphologies, and the high driver's position, and head-up information display, offer ideal conditions for long journeys. The central console is overtly reminiscent of an airplane cockpit instrumentation, with its stylized gear shift and illuminated dial surround. 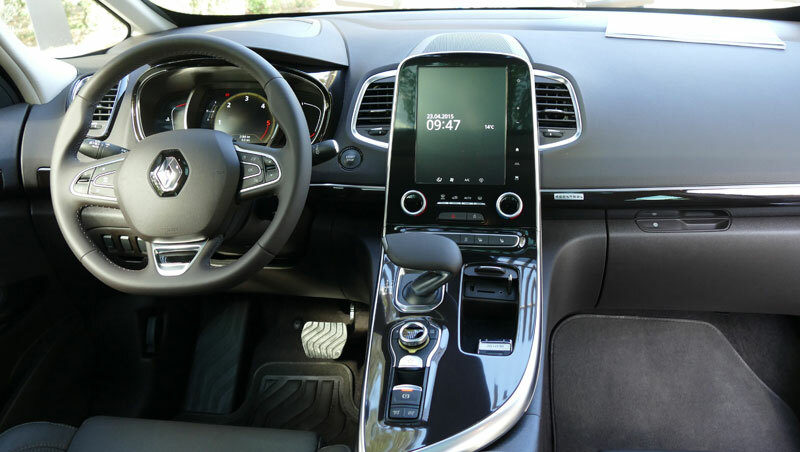 The large (8.7”) vertically positioned R-Link2 screen takes a prominent place, as the connection control centre for New Espace. The digital experience, again, hints at an airline pilot training scenario. 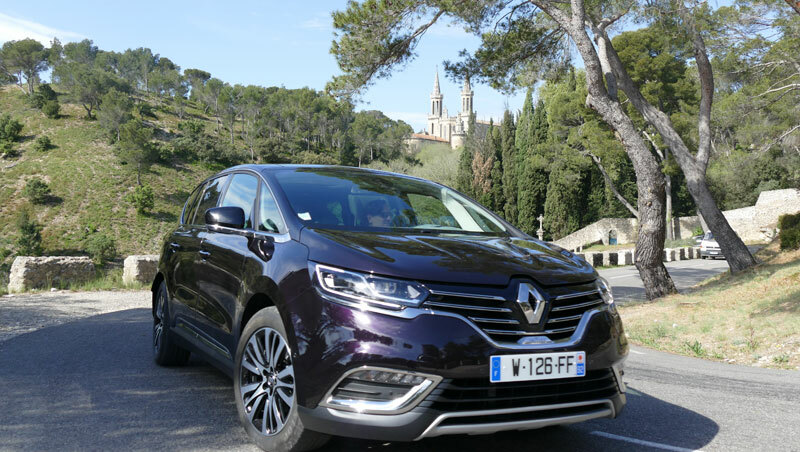 The Multi-sense system, which controls and coordinates New Espace technologies to afford a choice of personalized driving experiences, was announced at the Paris Motor Show, and we were curious to find out how it actually worked. Multi-sense operates on the 4Control four-wheel steering system, the suspension system, the vehicle steering, the engine and the EDC transmission, plus the instruments, the engine sound and the interior lighting. There are four preset modes (eco, comfort, sport, neutral) plus a user-configurable mode, offering a limitless choice of driving experiences. Mode change is simple and fast: a one-click operation on R-Link2. 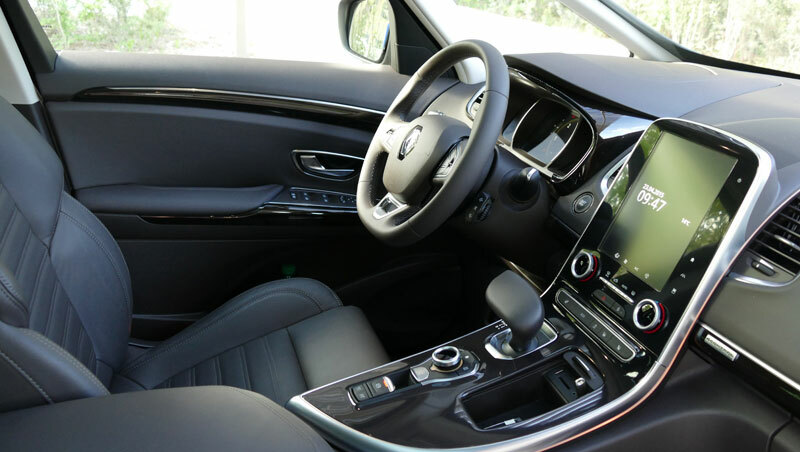 Sports-inclined drivers will doubtless appreciate the vehicle response and engine sound in “sport” mode, but we were particularly impressed by “comfort” mode, which affords a degree of manoeuvrability that is frankly intriguing for a vehicle of this type. The effect is achieved by applying specific settings on the 4Control system, steering-wheel effort and suspension stiffness. And the driver seat massage function makes a real difference on long journeys. One of the car's most impressive driver assistance systems goes under the name of Easy Park Assist. A lot of drivers can feel intimidated by the task of parking a car of this size (486 cm by 189cm by 168cm) in town. Easy Park Assist is the ideal solution: it can be switched in at speeds under 30 km/h, to help the driver park in any kind of parking space (angle, perpendicular or parallel). The system inputs information from the many ultrasound sensors fitted around the car to calculate the required manoeuvres and guide the driver's forward and reverse response by means of on-screen instructions. In automatic-pilot mode, it takes control of the steering wheel, keeping the driver informed via the reversing camera behind and a sound signal in front. Most impressive!